Hong Kong Flight Training Centre (HKFTC) is a privately operated institute that is committed to promoting flight training amongst capable youngsters in Hong Kong who have dreams of flying. In Hong Kong, the opportunity of learning to fly is very limited due to environmental constraints and the availability of facilities and services. 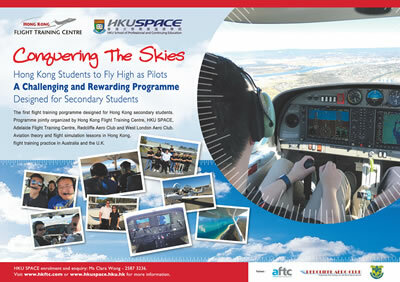 HKFTC, in collaboration with the School of Professional and Continuing Education of the University of Hong Kong (HKU SPACE) and three flight training organisations in Australia and the United Kingdom, is hence providing a series of structured courses for flight training up to Private Pilot Licence (PPL) level. Having completed the theory and flight simulation components in Hong Kong, students may choose to go to Australia or the U.K. and complete the practical part of their flight training. Calvin Lau is a technology educator by nature. His dreams about flying have motivated him to promote science and technology education - using flying as a platform - to youngsters of Hong Kong. He believes that every child should have some kind of talent to be inspired so that his/her potential can be developed to the full. His vision to promote aviation and flight training is to Awaken A Different Kind of Smart among our students. 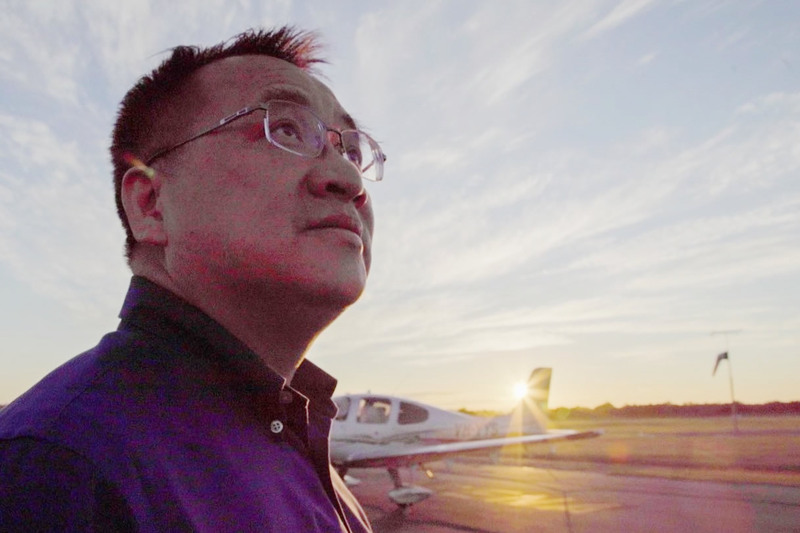 Together with his team of both airline pilots and private pilots, Calvin has inspired so many people to achieve their dreams of flying. In the past years, more than a hundred of Calvin’s students have gone through the assessment process and joined the airline cadet pilot programmes and trained to be professional pilots. Many received their RPL or PPL from Australia or the United Kingdom, a few dozens achieved their First Solo! Calvin completed his flight training and received the EASA – Private Pilot Licence in both fixed-wing and helicopter at British Airways Flying Club in England. He then continued his training in Australia and has accumulated extensive flying experiences in Hong Kong, Australia and the U.K. Calvin received his undergraduate and postgraduate education from Loughborough University and the University of Nottingham in the U.K. respectively. He also holds an advanced technical teachers’ certificate and is a registered teacher.